What Is To Be Done With Used Batteries From Pure Electric Cars? Home/Batteries/What Is To Be Done With Used Batteries From Pure Electric Cars? When do you do with all the used batteries on pure electric cars? This is a big question that once the life of batteries on electric cars is over, where to dump these batteries. This is a big worry for the electric car manufacturers and these companies are looking for practical solutions. It would not be wise to simply bury the batteries in some landfill as it could be hazardous to the environment and would not be acceptable to the car manufacturers and the car owners. Many big automobile companies have started looking for alternatives, these companies are seeking help from companies who have skill and know how on mass recycling and reuse of the dead batteries. General Motors have already made it public that they have already collaborated with the Swiss company ABB, this company is a leader in power and automation technology and is the largest supplier of grid system in the world. ABB has devised a plan to re-use batteries from Chevrolet Volt and develop a plan to use the second life batteries for the electric grid storage grid system. The company has a plan to develop several pilot projects and examine the Volt’s 16-kWh lithium-ion batteries for re-use. ABB is looking into the possibilities of using the studies of renewable energy storage, grid load management, and backup power supplies for communities and time of use management. GM Executive Director of Electrical Systems, Micky Bly said that Volt’s battery will have significant capacity to store electric energy even after the automotive life of battery is over. In other words after the normal warranty of eight years or 100,000 mile offered by the Volt, the battery will still have some energy which can be utilized for some other purpose other than running the vehicle. This is the reason why recycling of old batteries is being studied. The main purpose and goal of GM in having partnership with ABB is to find a viable and economical solution to maximize the life of the batteries that will improve the country’s electric grid. Across the Pacific, Nissan Corporation has also started studies on electric battery recycling options. The company has entered into agreement with Sumitomo Corporation to do research on the used lithium-ion batteries. The joint venture has been named as 4R energy and the main purpose is to Reuse, Resell, Re-fabricate and Recycle the same batteries used to power their Nissan Leaf electric car. Nissan will soon start conducting demonstration tests and look for the means to commercialize the project. The California electric sports car maker, Tesla Motors, has made an agreement with Solar-City, who are leaders in solar design and installation, to investigate re-use of car batteries which are outdated. This research is being done with the help of University Of California. This trio team is developing a system which can combine Tesla electric car battery system with Solar-City monitoring platform. This will help to develop advanced grid-interactive Photovoltaic (PV) and stationery storage product which can be installed in buildings. This will help in battery energy storage and will collect excess PV power thus reducing the dependency on power plants. 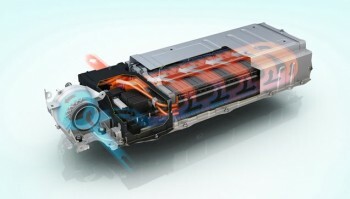 Will the projects launched by the automotive industry to solve the problem of used batteries become successful? If it does, we will see a new battery recycling market spearheaded by the automotive players with a clear foresight.